There is just something nice about the feeling of natural light while you study or do research. Why do libraries have to be dark and archaic? The openness is inviting and encourages long periods of study instead of a desire to leave as soon as possible, like some of the more light-restrictive and oppressive library atmospheres. Very few places seem cramped. The ceilings are purposefully high and in some cases open two or three stories up. It is also really clean looking but part of that is of course how new the facility is. I love the idea of being able to eat in libraries. UVU pulls this off really well. Somehow even though there is study areas all throughout the food court and around it, the area is still very quiet and conducive to thoughtful study (I am in the food court writing this). However, this does not mean one cannot talk in groups. There is a place to study everywhere. I have walked all through the building and I can always see somewhere to sit, plug in, and work, chat, or socialize. You can collaborate, you can study in private; there is even a large playroom for students who have children but still want to get some studying done. Go here to see the other pictures I have of the library. I have discussed food in the library before, but I just found out last week that the Harold B. Lee Library is considering adding a cafe and eating area. I must admit I was pretty excited. 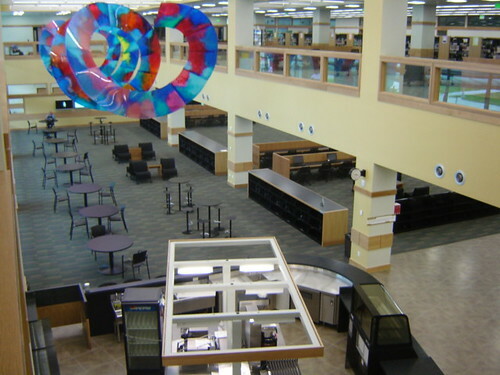 It will take numerous approvals and buy-in from campus administrators, library security, and university food services (who would staff the cafe)–not to mention local librarians. 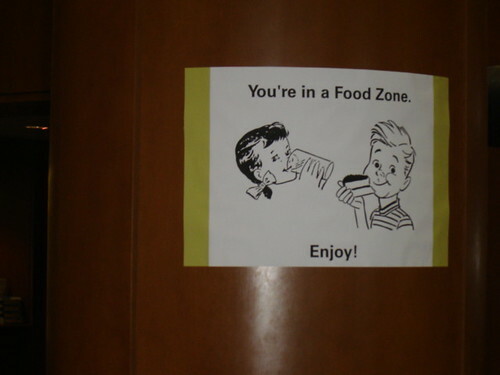 Food and beverages would not be allowed all over the library, however; food and drinks would be restricted to just the cafe area. 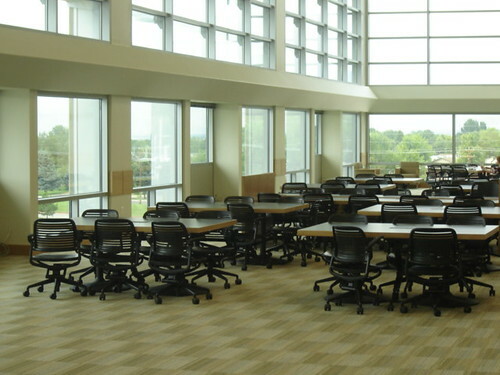 The proposed area for the cafe is our Periodicals section which has comfortable chairs, tables for study, and a lot of natural light, so I think it would be ideal. 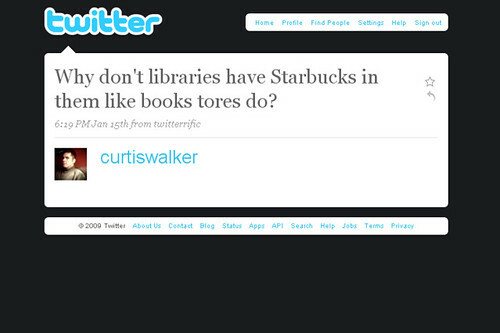 If food is in the library, is it better to be allowed everywhere in the library or just one area? Last Friday our library staff went on a tour of some of the libraries in our area. The newest one on our trip, Utah Valley University‘s new library, had a cafe on the first floor and a food-anywhere policy. Some of our tour commented on that policy and speculated that UVU would revise that policy in a year or two. Our next stop was the University of Utah‘s Marriott Library. They also have a food policy but food is restricted to only the first floor. This policy has been in place for over five years. I asked our tour guide how that has worked out and he said they have had minimal problems. Some chairs reupholstered, a few books rebound or repurchased, but no atrocity of real significance that had lasting impact. 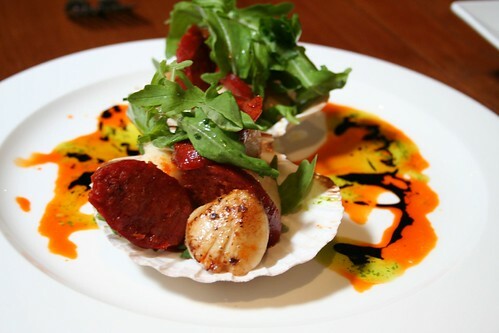 If there are so few issues, why shouldn’t more libraries let patrons eat in the library?